The 2018-02 LDraw Parts Update has been now been released. This adds 1019 new files to the core library, including 540 new parts and 21 new primitives. Thanks are of course due to all the part authors who created or corrected parts for this release. The reviewers also play an important role in keeping files moving through the Parts Tracker and deserve just as much credit. You can preview the new parts in 2018-02 here, download the zip-file update or Windows install package here. Alternatively you can use the LDView menu option File | Check for Library Updates... to install the update. Thanks for all the hard work you've put into this release. it's a bit like pre dated Christmas present, isn't it? You did a great job again! 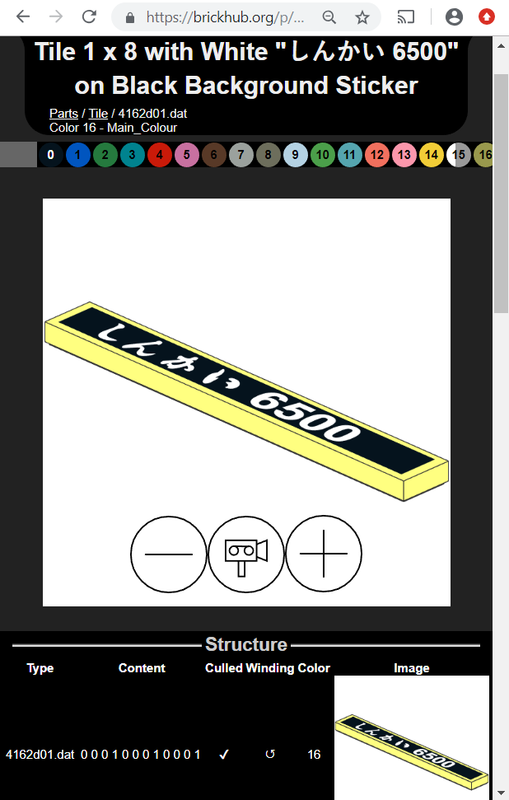 (2018-12-08, 19:52)Chris Dee Wrote: The 2018-02 LDraw Parts Update has been now been released. This adds 1019 new files to the core library, including 540 new parts and 21 new primitives. I noticed the new complete.zip hasn't got textures in it. Not really strange but the current ldrawunf.zip doesn't have any textures ether. This while the one I downloaded a week ago had some in parts/textures. Texture files need to go through the same certification process as other files, and as none are currently certified, none were included in the update (not withstanding the statement that I made here that the parts update process has not yet been updated to support them). The three files in the official library that define TEXMAP files, but were released prior to Parts Tracker support being added (19201p01, 19204p01 and 3960p0b) still don't have their texture files. I have fixed a problem with ldrawunf.zip and the unofficial texture files are now included. Texture files were being added to this archive one-by-one as they were submitted, but the complete regeneration of this file after the parts update excluded them. That's now been fixed. One minor suggestion which you might want to contemplate. When I ran the Windows installer (LDraw1802.exe), it suggest a installation directory for the parts as "C:\Users\***\Downloads\ldraw\%CommonDocumentsFolder%\LDraw" (where *** is my Windows user directory) when it perhaps should be either "%CommonDocumentsFolder%\LDraw" or "%LDRAWDIR%". (2018-12-08, 21:46)David Manley Wrote: Thank you to everyone. The default directory setting in the installation builder I use (InnoSetup) is set to "%CommonDocumentsFolder%\LDraw". Is anyone else having this problem? ..naturally to all the other part authors. ... and special to Magnus ..... who made reviews like a "workhorse" .... and still took the time to patiently give his advice ..... but also at Phillip and Willi ..
...and "last but not least" .... the software makers ... who have made all the basics easier for us. What a great international team ... "Chapeau !!" ...it´s a pleasure to be part of it! Great! Thasks to everybody contributing to this pack! Great work for everyone involved. That was a huge amount of work! The Asian letters did a number on my database, but it should work now. As you can see in the link, it both displays the file content, header and structure correctly. when the original Japanese characters were properly available. LEGO is international. The transliteration instead went into the keywords. Anyway I assume stickers and shortcuts should have similar naming?